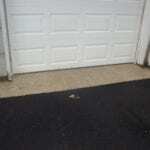 Your car can easily stain your driveway, and we're not just talking about tire marks. The floor of your driveway can easily show unsightly residue left over from oil stains or grease stains from your vehicle. It's also not unlikely to catch stains from transmission fluid on your driveway, too. Your car isn't the only culprit for creating a drab driveway. Snowblowers, garden tools, lawnmowers, and other equipment can easily leave behind rust stains that runoff in the rain if you forget about them and leave them on your driveway. But with driveway cleaning services from All Washed Up Power Washing & Exterior Cleaning, you can count on removing these tough stains. Driveway cleaning services make it easy to keep your driveway looking pristine by getting rid of tough-to-remove stains and debris. 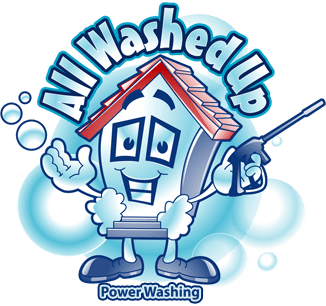 All Washed Up Power Washing & Exterior Cleaning uses the best and safest methods for keeping driveway clean to remove tough stains and debris. Cleaning your driveway requires more than just making it a DIY project. It can take a couple of hours just to clean a driveway that holds four cars when you try to do it on your own. But with the help of professionals, those hours quickly get cut down to half an hour (and sometimes even less). At All Washed Up Power Washing & Exterior Cleaning, we value your time and make cleaning your driveway convenient. We take the time-consuming element away from a DIY driveway cleaning project so you can have your time back. 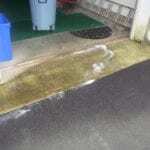 Handling driveway stain removal properly isn't a quick process when you try to do it yourself. That's why it's important to use the help of a professional team with the experience to clean your driveway fast. At All Washed Up Power Washing & Exterior Cleaning, we implement tried-and-true methods for removing driveway stains fast. Your driveway deserves to look its best but not at the cost of harsh chemicals that can speed up the concrete degradation process. It's not uncommon for store-bought detergents to have petroleum-based ingredients or harsh chemicals that can deteriorate your driveway overtime. 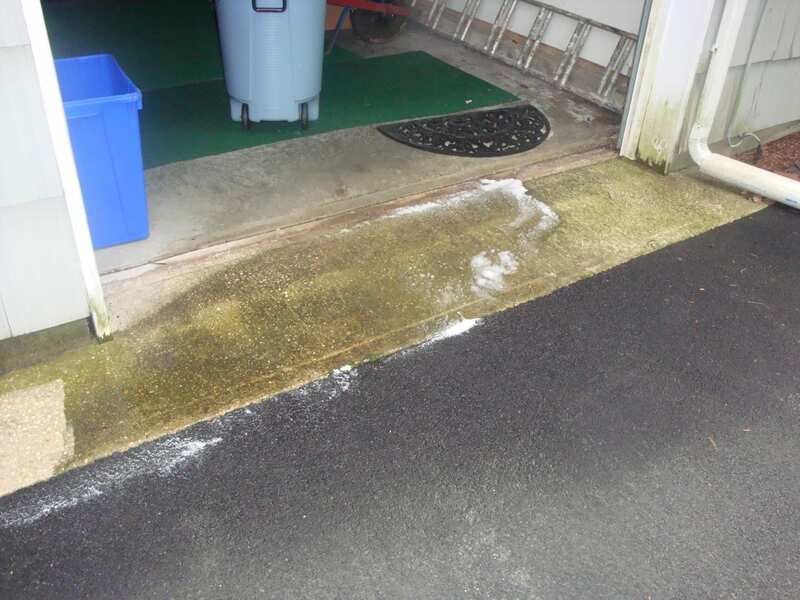 This causes more harm than good, and that's why you won't find those types of detergents as part of our driveway cleaning services process at All Washed Up Power Washing & Exterior Cleaning. Instead, we avoid using the harsh chemicals and petroleum-based detergents that can eat away your asphalt, so you can protect your driveway for durability. Transform your driveway from drab to fab and get a free estimate from All Washed Up Power Washing & Exterior Cleaning today! Driveways are often taken for granted but they are front and center when it comes to our homes. We park our cars on them, but that is not all we do. Driveways are our impromptu car shop, a place children play and ride their bikes, they can even hold an odd barbecue or two! Because of all the traffic they get on a daily basis it's easy to see why their once gleaming white appearance fades fast. A driveway that is soiled or dull in appearance can ruin the curb appeal of a home, no matter how clean your home is. Why? Simply put the driveway is the first thing visitors see when they approach your home. 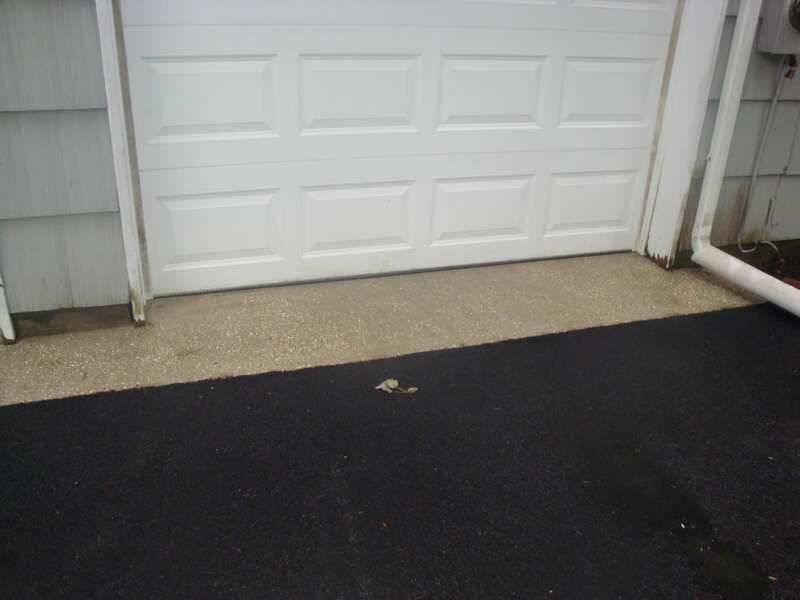 A dull, and dirty driveway not only detracts from the appearance of your home it is also unsanitary, while your driveway may look like it's covered in dirt it is more than likely mold and/or fungus that is growing on your driveway, which then hitch a ride into your home when you walk across your driveway! When it comes to complete driveway cleaning trust only the experts at All Washed Up Power Washing and Exterior Cleaning. Our professional driveway cleaning team can efficiently remove stains, mold and fungus while restoring the brilliant appearance of your driveway's surface. Give your home the driveway that it deserves, schedule your driveway cleaning today!